Some financial experts indicate a tough day for one of South Florida's biggest employers may send it closer to bankruptcy. Trading of American Airlines stock was halted Monday for a time while Miami-based employees and their families -- all 9,000 of them -- are hoping for the best along with workers all across South Florida's aviation industry. "We are all watching this very carefully," said Aviv Izur of Avbiz Aerospace Consulting. "American is one of the biggest employers at MIA, not only directly but indirectly. There’s a lot of businesses who thrive and live through American Airlines supporting them." American is making it clear that it doesn’t want to file bankruptcy, but experts on Wall Street say they aren’t sure how much longer the airline can fight that off. Trading of AA stock automatically stopped on the New York Stock exchange when it fell below certain levels -- and at one point, it had fallen as far as 40 percent. Employees not officially speaking for the airline told NBCMiami that they were well aware of American’s financial position and said talk inside the company of a bankruptcy filing has increased recently. 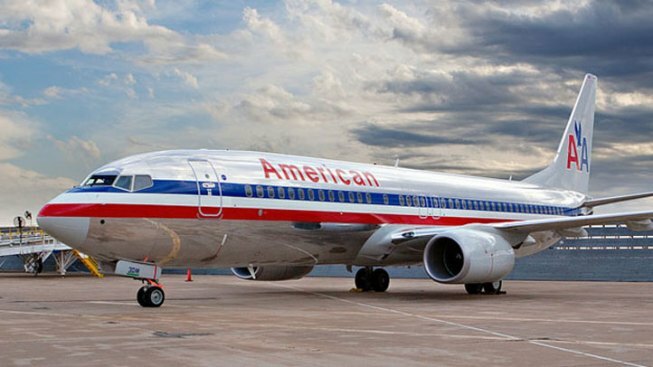 Bankruptcy attorneys say if American does file the action it would protect it from creditors and allow the company to review the contracts it has with unions and negotiations it has with it pilots -- pilots who have been working for years without a formal contract. In a statement to NBCMiami, American said it preferred not to file, but was aware its 'results' were troubling. "Regarding rumors and speculation about a court supervised restructuring, that is certainly not our goal or our preference," the statement read. "We know we need to improve our results, and we are keenly focused as we work to achieve that." The airline has placed orders for hundreds of new airplanes on hold in an effort to cut fuel and maintenance expenses on its older fleet. "We need them to be successful," Izur said. "[But] they are the only legacy airline that has not filed bankruptcy unlike Continental, United, US Air." Izur said American makes money in Miami, so if or when any action is taken a significant number of its 300 flights out of South Florida should continue. Pilots, meanwhile, told NBCMiami that that the number of retirees among them has significantly increased in the last two months as employees prefer to get out before they lose retirement benefits they can get now.